Rejuvenate your complexion with the Eclipse MicroPen™, the best micro-needling skin care treatment in Glendale. By creating hundreds of superficial “micro-channels” in the skin’s surface, this miraculous treatment option uses the body’s natural repair processes to erase wrinkles, remove sun-spots, eliminate acne scars, and revitalize old, tired-looking skin. Best of all, the Eclipse MicroPen™ doesn’t rely on any synthetic fillers to get amazing, long-lasting results! Get the gorgeous, glowing skin you deserve with 7Q Spa Medical Center’s safe, natural skin care treatments; call today for a free consultation! Because the Eclipse MicroPen™ uses sterile, surgical-grade Turbo Safety Needles™, it is inherently safer than dermal rollers and other micro-needling devices. The MicroPen™’s high-speed motor is able to penetrate the skin more efficiently than other micro-needling methods; increased speed means more comfort for clients. At 7Q Spa, we recognize that every client has unique skin care needs. The MicroPen™ allows physicians to customize needle depth to achieve the best clinical results. The MicroPen™’s enhanced safety features and increased control over treatment variables lead to more predictable, consistent results in virtually every patient. Using a treatment method called “collagen induction therapy” (CIT), the Eclipse MicroPen™ works by stimulating the body’s natural healing response to hundreds of tiny, microscopic injuries, or “micro-channels.” After the MicroPen™ quickly and efficiently penetrates the skin with dozens of sterile, single-use needles, the body reacts by immediately producing new collagen and elastin. As the treated area heals, smoother, more healthy-looking skin appears. Because the Eclipse MicroPen™ creates tiny openings in the skin’s surface, it may also be used to increase the absorption rate and overall efficacy of topical treatments like hyaluronic acid and anti-acne products. After the preliminary assessment and evaluation of the client’s health care goals and skin type, one of 7Q Spa’s highly-trained physicians, nurses, or technicians will apply a hyaluronic acid peptide gel to the treatment area; the hyaluronic acid not only helps the MicroPen™ tip glide easily over the surface of the skin, it also functions as a building block in the growth of healthy new skin. The Eclipse MicroPen™ is then pressed to the skin, creating thousands of superficial micro-channels each second; most clients compare the feeling to that of light sandpaper being moved across the skin. Treatments usually take between 15 and 30 minutes, though larger treatment areas may take longer. Following your 7Q Spa Eclipse MicroPen™ micro-needling treatment, the skin may be red and sensitive to the touch. Though healing time depends on the depth of the micro-channels, the number of passes your skincare professional performs, and each client’s immune response, side effects usually subside after two or three days. Visible changes—smoother skin, diminishing of scar tissue or discolorations, increased firmness—will be noticeable within a week, and results are likely to continue improving up to six months after the treatment. 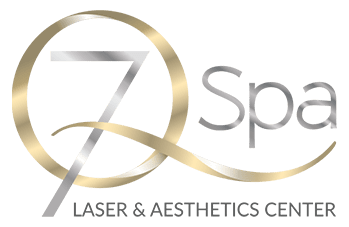 While some patients only require a single treatment, 7Q Spa recommends that patients with more serious skin conditions schedule up to six treatments recurring at eight week intervals. Don’t let fine wrinkles, sun-spots, freckles, acne scars, or old, tired-looking skin stand in the way of having the glowing complexion you deserve. Contact 7Q Spa now for more information on Glendale’s most effective, natural skin care treatment!